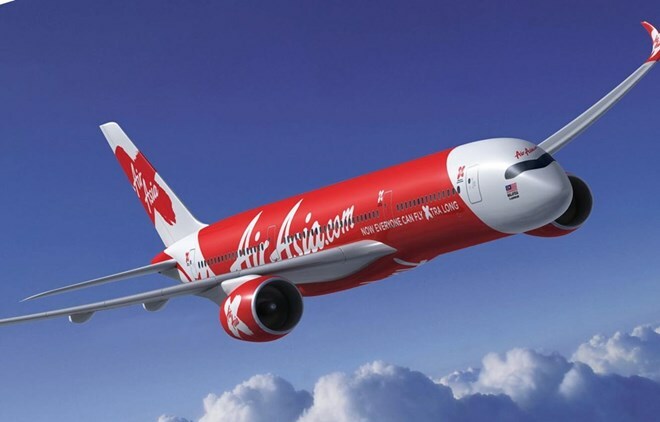 AirAsia brings the first 180 tourists to Da Nang city from Thailand's Chiang Mai province on April 12. Da Nang (VNA) – Budget carrier AirAsia’s first flight connecting Thailand’s Chiang Mai province and Vietnam’s central coastal city of Da Nang landed at Da Nang International Airport on April 12, with 180 passengers on board. The daily flight takes a total of one hour and 45 minutes, departing at 8 am from Chiang Mai and 10:15 am from Da Nang city. AirAsia already has a Bangkok-Da Nang route with three flights per week, and a Da Nang-Kuala Lumpur route with two flights per week. According to Vice Director of the Da Nang Centre for Tourism Promotion Huynh Thi Huong Lan, Thailand has become one of the city’s biggest sources of tourists in recent years. During the January-March period, the city welcomed nearly 60,000 Thai visitors, up 35.7 percent from the same time last year. The direct flight will facilitate the travel of people from both countries, she said. Da Nang has won the heart of both domestic and foreign tourists thanks to its marvelous sandy beaches, stunning natural landscapes, as well as intriguing tourist attractions like Ba Na Hill Mountain Resort, Ngu Hanh Son, Son Tra Peninsula, Linh Ung Pagoda, and Han River, among others. Recently, the online marketplace and hospitality service Airbnb announced a list of the world’s top 10 destinations for 2018, in which Da Nang ranked fifth with bookings surging up to 255 percent. The New York Times, which has an international readership, has included Da Nang in a list of 52 places to go in 2019. As the third-largest city of Vietnam, Da Nang has gone from a place “best known for being a gateway to the UNESCO Heritage town of Hoi An” to an attraction “with a strong foodie scene and new hotels and resorts popping up on a 5-mile-long beach strip”, according to the US magazine. Meanwhile, Chiang Mai, the largest city in Thailand’s northern region, provides an excellent retreat for both couples and families who want to discover the beauty of the nature or indulge in intriguing outdoor experiences like hot air ballooning, animal sanctuaries, and Hang Dong Canyon.